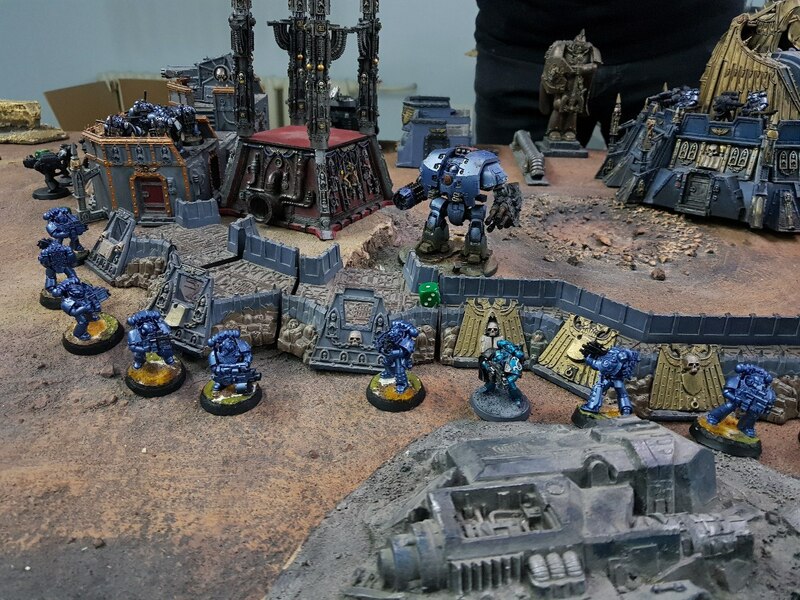 My XXth Legion, kind of a blog i guess. I was looking forward to starting a Horus Hersy army as soon as Forgeworld released the 1st book. I've went through a lot of variants (Dark Angels, World Eaters, Custodians) but in the end stopped on the Alpha Legion due to it mysteriousness and the lore describing them as actually being a special force amongst already special enough other astartes, mixed with some kind of secret service stuff. So that set, i started buying dem minis, starting from a single "Betrayl at Calth" (if only did i know then that i'm gonna buy actually 3 boxes...). After assembling all that i suddenly realised that i have nearly no time at all to actually paint all that (not mentioning that i was buying more and more minis every week xD). So i've found a local painter whose style i really liked and given him a number of models to paint. Now, little by little, he is finishing them and i can share them with you) Mind, that the color maybe not the typical AL you see, but that is the color i was looking for them. And i really like how it looks now. Nothing special about it, just a nice mini. Here i had a particular request. I imagine those beasts fighting where the fighting is the worst, so they SHOULD be damaged in some way and can't be in mint condition. They turned out to be exactly as i pictured them in my head. I've bought all the weapons options and magnetised them, but only a couple of them can bee seen in photos. Again i made the magnetisation. Unfortunately, the model was not of perfect quality, so you can see the green stuff in some places, but it stiil looks awesome on the table. That's it for now. But some interesting stuff is coming up. Including Alpharius himself converted using Lorgar's model) Thanks for reading, cheers. Edited by point_Zer0, 10 February 2019 - 09:29 AM. The stand out for me would be the urban camo on the Recon Marines/seekers. 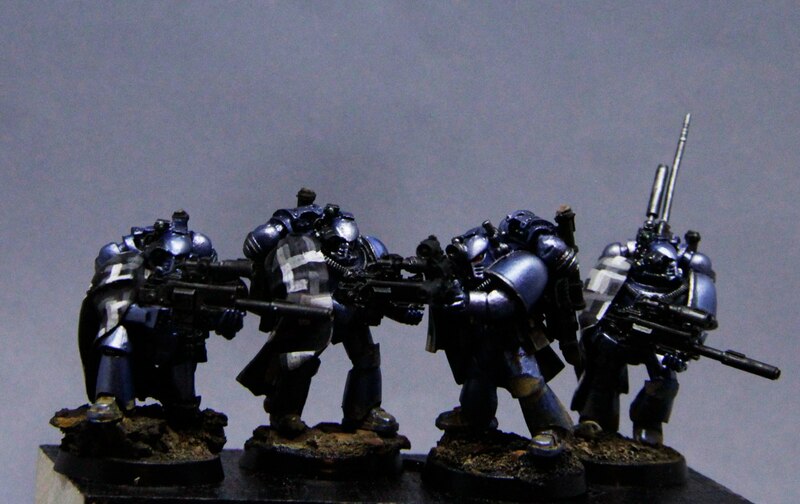 Your freehand work is also nearly perfect, for a moment I thought they were transfers they are that good. Somehow you've made the Hydra on the Scorpius look 3 dimensional which is also very impressive. All around a great start, and I look forward to seeing more of your work. Cool stuff dude! I love the colour scheme especially on seekers. They look very mean! The paintjob is not mine as i do not have enough skill for that) But i'll tell the painter, thanks. Edited by point_Zer0, 14 November 2017 - 09:50 PM. And another addition. This time it as an allied knight Castigator belonging to House Atrax. Edited by point_Zer0, 18 December 2017 - 01:44 PM. SOme very nice Alpha Legion there The chap you've commissioned to paint 'em is doing some nice work - particularly the freehands for the chains and such. Those contemptors are being VERY slowly painted by myself. Edited by point_Zer0, 18 December 2017 - 01:41 PM. Edited by point_Zer0, 18 December 2017 - 01:36 PM. The allmighty Glaive "Theta" super-heavy tank arrived. Edited by point_Zer0, 18 December 2017 - 01:35 PM. Make sure to show off this over in the Martian Death Ray Club-thread! Brotherhood of the Shattered Spear - Heroes of Armageddon - Imperial Fists 5th. Company. I like the muted colour pallette! During holidays i received a long awaited order from the FW. My dream since 2004 finally came true. How are you painting the matte black areas? Love the contrast it provides to the metallics. While i was absent - i started painting mastodon. Due to too much work and university stuff, it progresses very slowly, though i already like how it looks on the table. Edited by point_Zer0, 28 February 2018 - 11:00 AM. 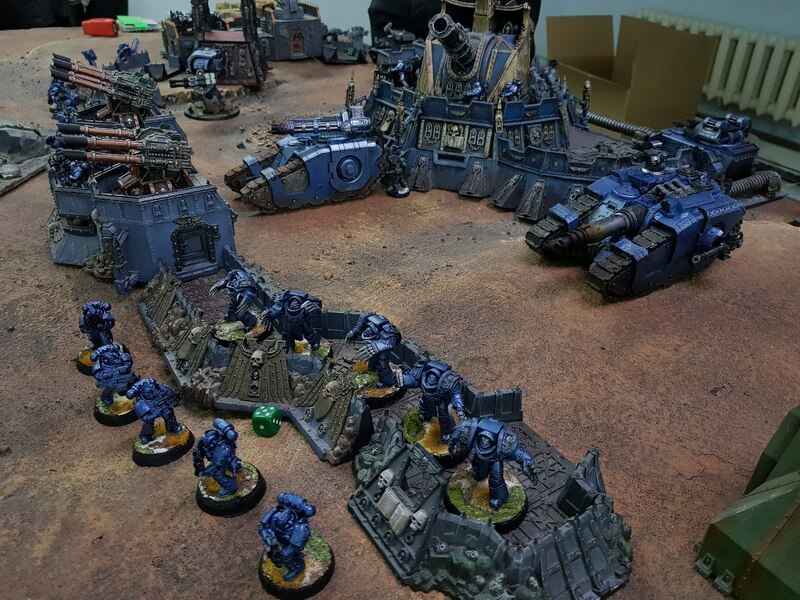 Here's an atmospheric photo of my legion assaulting some poor sods. Alpha legion's Thunderhawk's ready. Only diod lights are eft to put inside. Edited by point_Zer0, 18 June 2018 - 03:39 PM.